• Are You Playing Today’s Game by Yesterday’s Rules? • Which Program is Right for You? Wall Street is spreading throughout our economy, impacting businesses large and small. 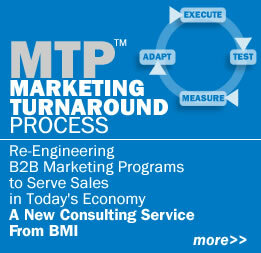 Today’s tough economy, getting tougher by the day, means harder times ahead for business marketing professionals.